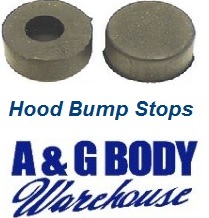 This is a new replacement pair of rubber hood bump stops. This is a 2 pc kit. Diamond Tread Garage / Shop / Home Baseboard! Show the Hot Rod Love!